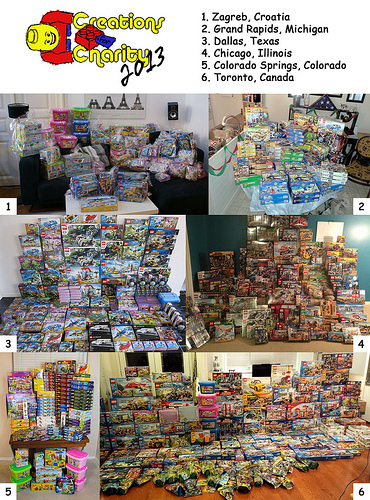 The 5th annual Creations for Charity ended with over $20,000 worth of Lego sets donated to children in 6 cities across 3 countries. Check out creationsforcharity.org for more photos and to hear the rest of the story. Merry Christmas everyone!